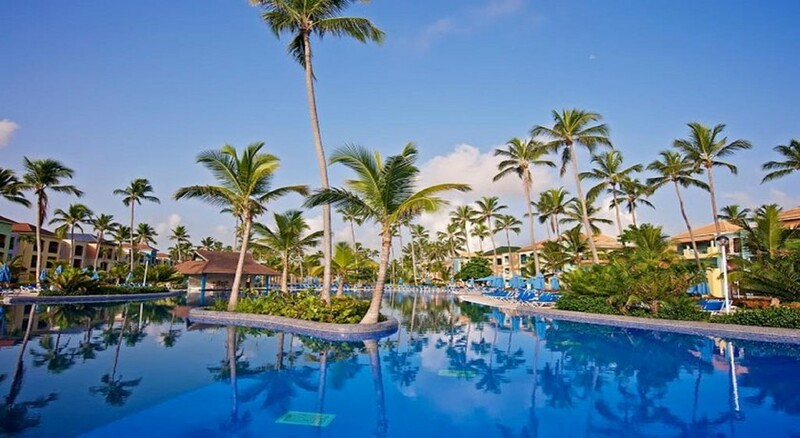 Ocean Blue and Sand Golf Beach Resort is a great complex where you can spend an unforgettable season. Its rooms are decorated in a traditional style, using elements that provide a lot of comfort and allow creating open spaces. The use of light tones is very favourable to convey a feeling of spaciousness during the stay. 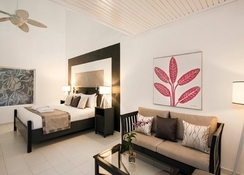 Rooms are equipped with a flat-screen TV, a laptop safe, air conditioning, a minibar, a seating area, a refrigerator and a private bathroom with a spa bath, personal toiletries and a hairdryer. The hotel has two outdoor swimming pools, a climbing wall, bowling lanes, diving lessons and a spa with a wide selection of treatments. It hosts a variety of restaurants where you can taste American, Caribbean, Italian and Mexican cuisine. 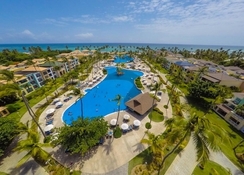 The Ocean Blue and Sand Beach Resort is located in Punta Cana just 7 minutes’ walk from the beach, offering its guests the opportunity to enjoy the sea whenever they wish. In the vicinity you can find several tourist attractions such as Punta Blanca – 4.1km, Dolphin Island Park – 15km, Laguna Bavaro – 24.5km from the hotel. 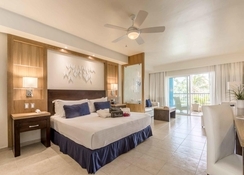 Guestrooms at The Ocean Blue and Sand Beach Resort include a laptop-size safe, a flat-screen TV with satellite channels, air conditioning, a seating area, a minibar, a refrigerator and a private bathroom with a spa bath, personal toiletries and a hairdryer. The comfort is completed with the internet connection available in rooms. 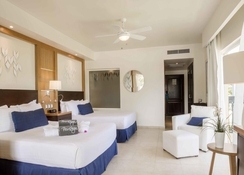 Guests can choose between Junior suites, Privileged Junior suites and Honeymoon suites. Ocean Blue and Sand Beach Resort feature several restaurants where you can taste dishes from American, Caribbean, Italian and Mexican cuisine. Enjoy a la carte and buffet options in restaurant El Carey & La Tortuga, Villa Marina, Sensai, Margarita, Mascherati Di Venezia, Route 66 and more. The hotel has two outdoor swimming pools, a climbing wall, a bowling alley, diving lessons and a spa with various treatments. It also has a private parking and offers concierge services, luggage storage, tourist information, 24-hour reception, child services, evening entertainment, bicycle rental and car rental.